1st UK is using Smore newsletters to spread the word online. Many individuals have less than perfect credit. It is a growing fact that “perfect” credit is not easily achievable, but when you are attempting to purchase a home, and applying for various mortgages, bad credit can be a huge challenge. Mortgages are confusing enough, without adding bad credit to the mix. Here are a few steps to consider when applying for a mortgage with less than perfect credit. Pull your credit files. You must know how bad your credit issues really are. Banks and credit cards may provide different information to credit agencies, and all three credit reports may show a slightly different picture of your credit history. Pull all three of the major credit agencies. These include Equifax, call credit, and Experian. Stop applying for a mortgage on your own. You may not realize this, but each time you apply for a mortgage online, or even through your bank, you are hurting your credit score. When lenders see the number of inquiries on your reports, your chances of being granted a mortgage decrease quickly. If your credit is poor, seek mortgage advice right away. Look for a broker that can assist you, and one that has experience working with bad credit. Brokers are an important part to purchasing a home, but you do not need to pay a large sum to secure their services. Fees tend to be 2% of the loan amount, but each case is different. Be sure to question fees before signing into any action with a broker. Repair your credit or increase your deposit. If your credit rating is stopping you from securing a mortgage, try bringing in a larger deposit on the home. This will decrease the amount you need to borrow from the mortgage lender and increase your chances of being approved. Repair your credit. Continue living in a rental property. Pay your credit debts down, stop applying for loans, and keep your bills current. You will be shocked at how quickly your credit score increases! These are simply suggestions on how to find a mortgage when your credit is less than perfect. There are many bad credit mortgage brokers in the United Kingdom that will happily assist you and work hard to find the lending you need to purchase your new home! Visit https://www.1stukmortgages.co.uk/ today for more information! 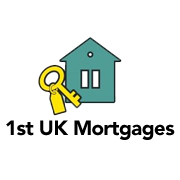 1st UK are true bad credit mortgage specialists offering exclusive low rates even with arrears or CCJ's. Friendly advisers can help you secure a mortgage even if you have a bad credit history.